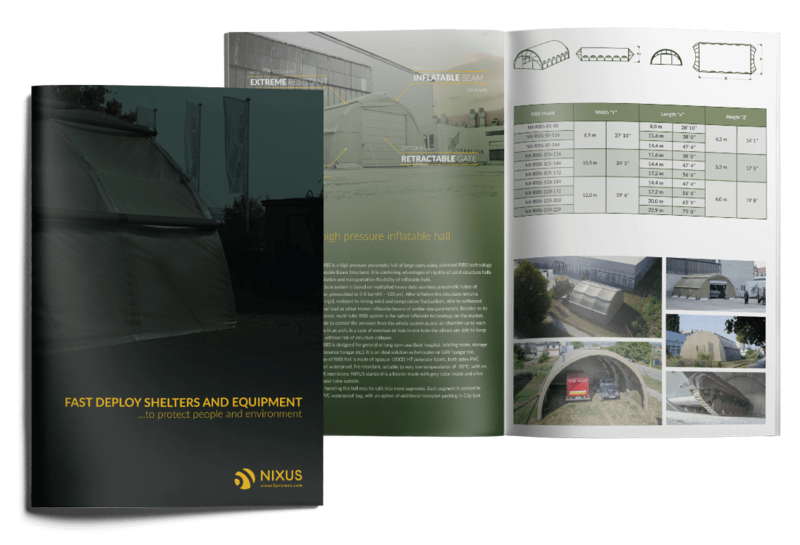 High pressure pneumatic halls of large span, using patented RIBS technology. 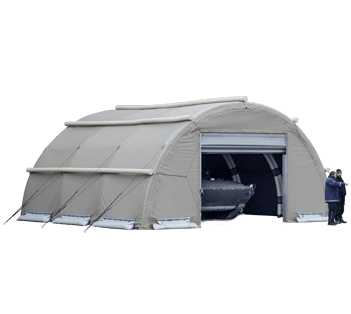 Ideal for general or long term use (field hospital, briefing room, storage hall, maintenance hangar etc.). 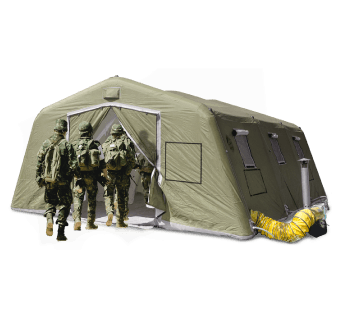 Modular high pressure pneumatic shelter system for general or long term use (decontamination unit, base camp, field hospital, refugee camp ..). 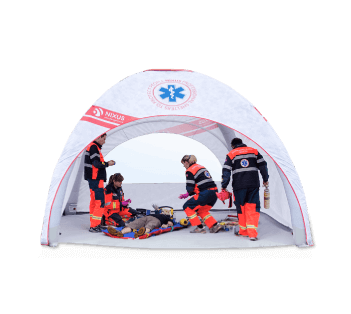 NIXUS | ERA is the only modular high pressure tent with angled beams, offering geometry with more vertical sidewalls and better internal space efficiency. 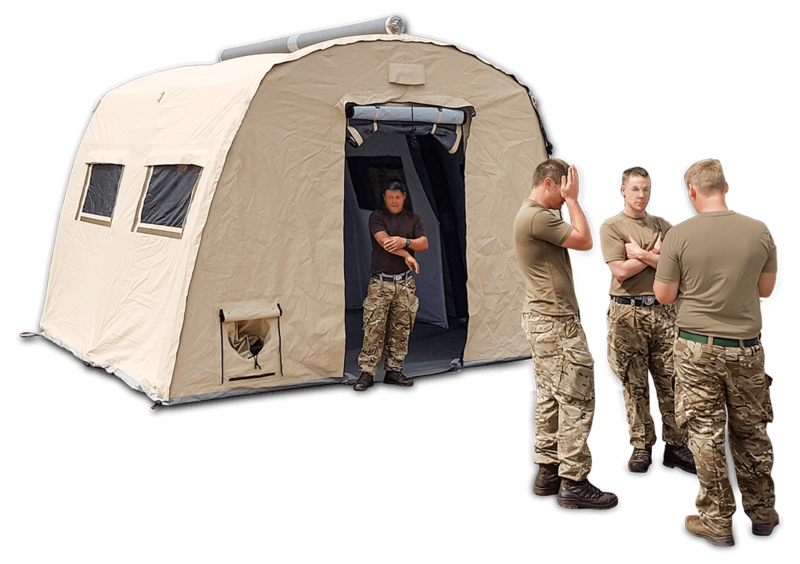 Modular pneumatic shelter for general use (first intervention, base camp, mobile hospital ..). 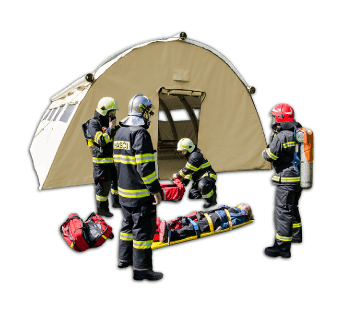 Lightweight modular pneumatic tent for elementary use (first intervention, first aid courses, training and promotion purposes).